Morning Fisherman, originally uploaded by QuakerVille. 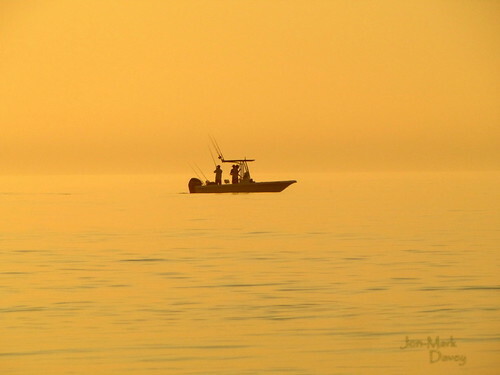 This is a shot of fisherman in the Atlantic at first light. I was up early one morning taking shots of sunrise and these two were enjoying an evening fishing trip. They were still hard at work as the sun started coming up. This has not been altered from the camera, it’s natural. Obviously the sky color did not remain this color very long as the sun peeked over the horizon. I can only assume that the color was far more reddish than usual from the naturally occurring Sahara sand in the air that blew in from Africa earlier in the week. Very unique coloring for sure.